MSPs, How Do You Get The Word Out? At the recent (March 26 and 27, 2015) MSPWorld keynote, Charles Weaver, CEO of MSPAlliance (The International Association of Cloud and Managed Service Providers, established 2000), discussed how alliance members should beef up their marketing efforts. And if the CEO of the MSPAlliance recognizes that there’s a gap, there’s clearly a gap in getting the word out to potential customers about their services. Traditionally marketing to potential customers meant direct mail, targeted campaigns, cold calling, email distribution lists, billboard ads, referrals, magazine ads, and online ads; but MSPs have found that generally speaking most of these methods are ineffectual. Historically MSPs have mostly relied on word-of-mouth referrals to bring new customers into the fold. What does work for MSPs in getting the word out about their services? Of the many different marketing strategies, referrals, blogs, email marketing, Requests for Proposals (RFPs), and cross selling offer the best returns to MSPs. Although referrals are very good in converting connections into sales, the number of them is very low. For an MSP to be successful, it has to launch a multi-front marketing campaign. Referrals from current customers seems to be the number one method of attracting new business for MSPs. The reason that MSPs hold referrals in such high regard is that this type of business prospecting has a high rate of return and has a very low cost to the MSP in terms of financial outlay and time required for the sales process. 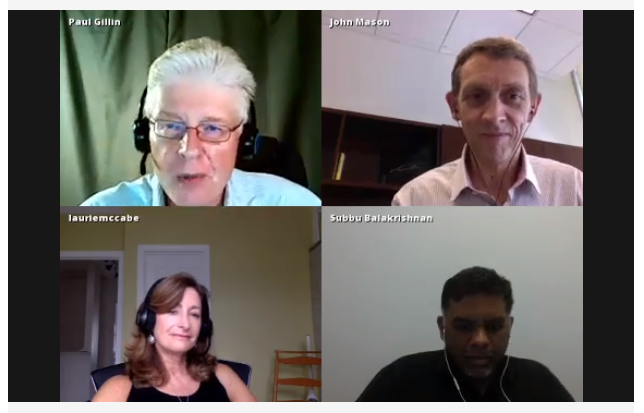 Making a referral network work is a fairly easy task. Ask your customers if they could refer your services to at least one company in their customer base or within their sphere of influence. 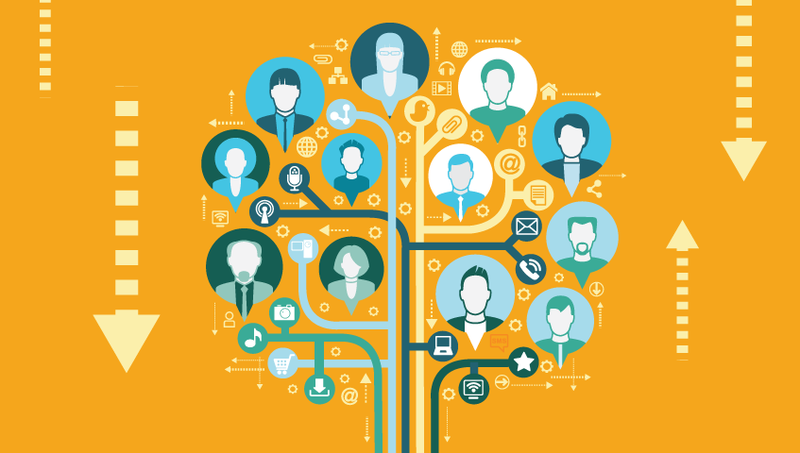 As your network grows through referrals, continue to ask for referrals from each new customer. However effective, this type of organic growth is slow and requires some relationship nurturing to assist and to fuel the process. Blogs, especially guest posts in a corporate blog by customers, are effective in increasing customer base. Potential customers can read about how other companies have solved similar problems using your services and expertise. That gives the reader an immediate connection to your business and your solutions that can help them. Sphere of Influence – a business network where companies or their officers or principals have some expressed or implied influence over others because of mutual trust, a working relationship, a partnership, or out of respect between the parties. What you don’t want a blog to be is a pure sales pitch or a marketing tool. You want to be sure to inform and educate your reader about how your services have increased sales, streamlined processes, made it easier to buy, increased customer service, or boosted profits. Make your blog entries about the customer and not about you. Provide real data and real customer testimonials where possible. Numbers speak louder than marketing fluff. Keep posts concise by telling a compelling story in 750 words or fewer. Post new blog entry URLs to all social media outlets to gain a diverse readership. Email distribution lists, whether created from correspondences or acquired by rental from a list broker are often a good source of prospective customers. The return rate is typically not what one would expect from such a contemporary medium. The rate of conversion is even lower. Expected rates of return are in the single digits and conversion rates are in the single digits of those returns. The upside to email marketing is that it’s inexpensive, even if you rent or buy lists. It’s also an excellent method of getting your name in front of a lot of business influencers whether or not they buy anything from you. It often takes several iterations of a message to receive one positive return. Rather than creating generic email messages touting your products, it’s often more effective to create a newsletter and distribute it via those lists. 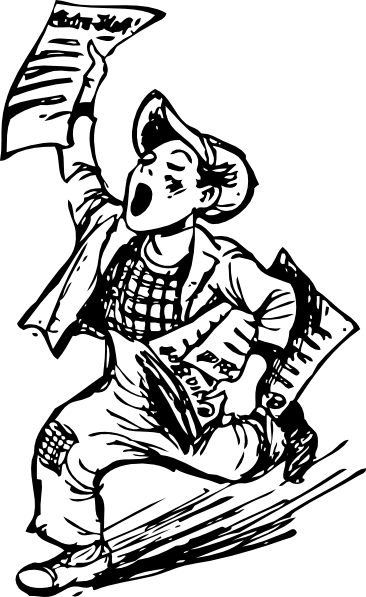 Newsletters aren’t seen as spam and potential customers read them with enthusiasm. To make your newsletters a welcome Inbox addition, include industry news, links to your blog entries, and information about your company and its services. Don’t make it to “salesy.” You want people to see it as having value and not just as an opportunity to deliver unwanted pitches for your services. Optionally you can setup an opt-in/opt-out mailing list for your customers or website visitors. Requests for Proposals (RFPs) can be used to acquire new business by entering into competitive bid situations. RFPs often require some moderate amount of effort to create a sale because of the bidding process and submission of detailed information about your company, its leadership, its capabilities, delivery times, Service Level Agreements, and related information. Sometimes the bidding process is lengthy (months), but the dollar amounts are also higher for these types of agreements. Cross selling is one of the most effective methods of gaining new business for MSPs. It involves selling additional services to existing customers or entering into cross promotional agreements with other vendors. Cross selling is a low cost marketing method because you’re selling to a customer who’s already bought into your services. Return on investment is very high. Cross selling deepens the vendor-customer relationship and builds loyalty for both parties. Although relatively new to the marketing scene, social media selling has become one of the hottest new marketing strategies for all businesses. MSPs can ride this wave by engaging its current and its potential customers in conversations via social media. Feedback, ratings, and testimonials are all very powerful drivers of new business. Tweet blog post URLs, post to your Facebook page often, ask for guest posts on your blog and Facebook page, engage your customers via LinkedIn, post your blog URLs to LinkedIn, and to all LinkedIn groups of which you’re a member. You have to use social media to your advantage. Check in when you’re out to lunch with a customer and tag him or her on Facebook to let everyone know that you’re entertaining a customer. Start a conversation on Twitter with your customers. The easiest way to start a conversation is to ask a question. Gain followers by using relevant hashtags and posting often to all of your social media sites. Follow all of your customers and their customers. Follow influencers, thought leaders, and technology journalists. Use media connections and technology journalists to your advantage by scheduling interviews to be posted on their outlet sites. Use social media to promote those posts once their published. Public Relations and brand marketing firms can help you connect with the correct people for your business. Your upstream partners can also send a steady flow of traffic to your site and to your attention. Your upstream partner should give you qualified leads that will help expand and extend your business. A good partner will offer you training, significant hardware and software discounts, marketing assistance, and some visibility as to who your customer base is. Leverage your partner’s resources to grow your business. Remember that a partnership works in both directions. The more you engage your partner, the more your partner will engage you and your business. If you’re an MSP that offers top notch services to your customers, you need to get the word out. First, start in your network by asking for those referrals and then expand by putting some simple, time-tested marketing techniques to work for you. You can continue to grow your business year over year by applying marketing pressure in the right places. And don’t forget to engage your upstream partner to help with your growth because it benefits both of you. Is your company MSP material? If you think that your company has what it takes to become a managed service provider (MSP), then you should consider it as a business growth option. Not only can you generate recurring revenue from getting involved in the MSP channel and the “As a Service” business model, but you can also grow your business toward the future. “Remain flexible” and “create strategic partnerships that benefit you and your customers” are the best advice tidbits gleaned from listening to experienced MSP CXOs. A potential MSP needs to be mindful of two specific fears that businesses have when considering offloading their support to a third party: control–or lack thereof and response time. Anyone who’s ever dealt with third party vendors can testify that response is often lackluster and sometimes downright inexcusable. Does your staff possess the desire and ability to respond quickly to customer needs? Do you plan to allow the customer to exert a moderate amount of control over his or her environment? If you can’t answer a confident “Yes” to both questions, you need to reconsider your choice to become an MSP. Having stated that, you can train and motivate your employees and you can make the decision to allow the customer a moderate amount of control. The company that you choose as your upstream partner has a lot to do with how successful you’ll be, so choose carefully and thoughtfully. You should also consider how you’re going to meet service level agreements (SLAs) with your customers. Regardless of what your contracts state, customers expect 100 percent availability from you. To meet those expectations and SLAs, you have to purchase reliable hardware and software, you have to provide outstanding customer service, you have to backup customer data, and you have to provide monitoring and alerting services. If you fail to provide any one of those major cornerstone services to your customers, your business will likely also fail. Remember the number one rule of customer feedback: If you make a customer happy, that customer might tell one other person, but if you make a customer unhappy, that customer will tell everyone. And these days with rating services, online feedback forums, and social media, your business is only a few negative tweets or one star reviews away from failure. In the MSP business, customers assume that you have excellent, redundant, unbreakable systems underlying your services, but what they’re really after is a competitive price point and top notch customer service. They also want a fair amount of control over their leased infrastructure. What’s that old saying? Build a better MouSetraP and the world will be a path to your door. Count on it. If you’re looking to enter the MSP channel and you’re also looking for a partner, check out what IBM can do for you as your upstream partner. IBM supports MSPs with training, technical support, marketing resources, sales resources, and the finest available hardware. Find out how you and IBM can accelerate your business through a valuable strategic partnership. IBM’s Technical resources for Managed Service Providers (MSPs) makes it easy for MSPs to stay up to date with the latest technology and trends in the marketplace. Midmarket companies continue to turn to MSPs to manage their infrastructures and IBM’s Partner Program supports the ever-growing number of clients and the increasing complexity of supporting those clients. IBM has setup a Managed Service Provider area to assist MSPs grow their businesses and their offerings. The Power Development Platform (PDP) and the Power Development Cloud enables developers by offering no-charge, remote access to IBM hardware, including IBM POWER8, IBM POWER7+, and IBM POWER7 processor-based systems. Developers also have their choice of Linux, IBM’s AIX, and IBM’s i operating systems. However, developers please note that the PDP is for development, porting, and functionality testing only. Develop, test, and certify your applications free of charge on IBM Power Systems. The goal of the PDP is to allow developers access to try Linux on Power Systems to create scripting or interpreted language-based applications demonstrating that applications will run as is with no code changes. And 95 percent of Linux x86 applications written in C or C++ port to Linux on Power Systems with no code changes. With the PDP LPar, you get full root access, vCPU, disk, and networking to fully test your applications on live systems. IBM’s PartnerWorld University is an online collection of educational materials for IBM partners that includes Solutions, Systems, Sales & Finance, Services, Software, and Industry Solutions Colleges. To gain access to the site, you have to register with your IBM ID and password. For example, in the Software College, you can access a collection of IBM software product information such as Lotus, Rational, Tivoli, WebSphere, business analytics, information management, and other IBM branded industry solutions. Access more than 1,000 web lectures that cover IBM products and services. As stated above, IBM partners have access to a huge repository of resources for IBM products and services. However, there are times when an MSP requires a deeper dive into a particular technology. For those needs, IBM provides deeply discounted training and certification tracks to its partners. Some of these opportunities include IBM’s Think Academy, a professional certification center, and Innovation Centers. You can earn industry valued certifications on IBM software, hardware, PureSystems, solutions, and associated technologies. Check out the list of certification products available to you through the program. IBM’s 40+ Innovation Centers offer many no-charge seminars, workshops, and training sessions conducted by subject matter experts in its worldwide locations. Take deep dives into topics such as: Cloud, Big Data and Analytics, Mobile, and Social. The Virtual Appliance Factory (VAF) is a process and methodology along with tools to help independent software vendors (ISVs) prepackage application solutions for deployment in KVM and IBM PowerVM virtualized environments. The VAF is a set of Web 2.0 tools for you to use to create your virtual appliances. Additionally, you also receive educational materials and access to other resources to accelerate your appliance creation and deployment. The VAF features several benefits including minimal investment for entry into cloud computing, the capability to create virtual appliances that are readily deployable into DMTF OVF compatible data centers, and enables your business to take advantage of the cloud’s automation, self-service, and agility features. The IBM technical validation area offers its partners the ability to test your products using IBM solutions, integration assistance, and development assistance during the validation process. You also gain valuable exposure to other IBM partners and may earn the right to display IBM marks in your packaging and marketing materials. Partnering with IBM helps MSPs capitalize on new market opportunities, offer new services, provide excellent support, and have access to IBM’s expertise and resources making it easy for MSPs to grow and to be successful. 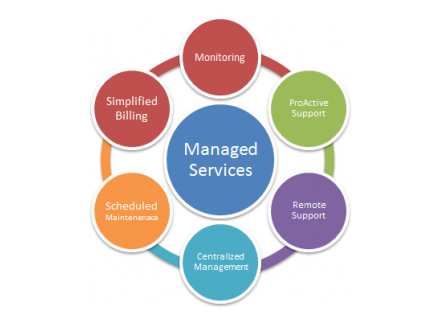 As Managed Service Providers (MSPs) move more into the mainstream, business customers will have to learn to strike a balance between service requests, service levels, and service requirements. There doesn’t have to be a communication breakdown between parties, but there often is when service levels collide with requirements. Most MSPs distinguish themselves from standard hosting companies by providing several avenues for the business customer to submit requests, troubleshoot problems, and resolve outages that affect business continuity. Most MSPs have Network Operations Centers (NOCs) that monitor and manage outages and alerts on a 24x7x365 basis as part of their overall service level agreement with the customer. Many have Help Desks that are staffed around the clock or during extended business hours. And in the case of maintenance windows, planned outages, and patching, MSPs notify customers in advance. However, emergency patching, unplanned outages, and loss of service are part of any IT-related business. As stated in the definition, it is the proactive service delivery that often creates problems between MSPs and their customers. Proactive delivery can mean downtime for customers to apply critical patches or to perform required maintenance. 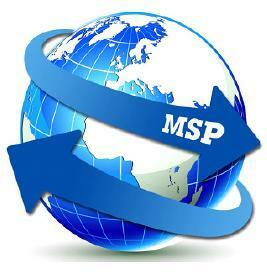 Service requests – requests by the customer for some type of service from the MSP. Service levels – expected, and agreed to, response times and activities that are part of the paid for service. Service requirements – regular maintenance, planned down times, patching, security requirements, regulatory compliance, and confidentiality. For example, if your service experiences a security breach, the MSP may take your service offline until the situation is resolved. Typically the MSP will notify you of the breach and of the in-progress repair. The MSP has other business customers that can’t be put at risk by your compromised service. The MSP has a service agreement with every customer and you have to realize that your service is no more or less critical than any other, that is, unless you’re paying for a premium level of service with guaranteed response and delivery. Does this all mean that the MSP can ignore your needs or service requests? Certainly not, but you have to understand that the MSP is your business ally, your business partner, and your business advocate. But, they also work for the good of all their customers. When comparing MSPs, find out which upstream partnerships they’ve formed. In other words, educate yourself on who’s responsible for assisting your MSP with their infrastructure. Who are their partners? What are their service levels? What is their guaranteed response time from vendors during an outage? Whether you’re looking for Infrastructure-as-a-Service, Platform-as-a-Service, or Software-as-a-Service, find the right partner for you. By now, everyone has heard of the hot new buzzword: software-defined data center (SDDC). SDDC is the new data center paradigm where everything is software-defined: network, computers, and storage. Yes, there’s underlying hardware making the whole thing possible but what do software-defined resources really do for us? The answer is simple: It abstracts hardware into pooled resources that users can partake of in discreet slices for cloud applications and for cloud workloads. But the real story here is IBM’s venture into software-defined storage that it calls Elastic Storage. On May 12, 2014, IBM announced a portfolio of software defined storage products that deliver improved economics at the same time they enable organizations to access and process any type of data, on any type of storage device, anywhere in the world. Elastic Storage offers unprecedented performance, infinite scale, and is capable of reducing storage costs up to 90 percent by automatically moving data onto the most economical storage device. For example, if a company has data that’s accessed infrequently, that data will be moved to tape or to low cost disk systems for archiving. Alternatively, data that’s accessed regularly or that requires high speed access will be moved to flash storage. Data redistribution is based on policy-driven rules and data analytics. This type of automated data movement shows cost savings of up to 90 percent. Enhanced security – Protects data on disk from security breaches, unauthorized access, or being lost, stolen or improperly discarded with encryption of data at rest and enable HIPAA, Sarbanes-Oxley, EU, and various national data privacy laws compliance. Extreme performance – Server-side Elastic Storage flash caches speed IO performance up to 6X, benefitting application performance, while still enjoying all the manageability benefits of shared storage. Save acquisition costs – Uses standard servers and storage instead of expensive, special purpose hardware. Limitless elastic data scaling – Scale out with relatively inexpensive standard hardware, while maintaining world-class storage management. Increase resource and operational efficiency – Pools redundant isolated resources and optimizes utilization. Achieve greater IT agility – Quickly reacts, provisions and redeploys resources in response to new requirements. Intelligent resource utilization and automated management – Automated, policy-driven management of storage reduces storage costs up to 90% and drives operational efficiencies. Empower geographically distributed workflows – Places critical data close to everyone and everything that needs it, accelerating schedules and time to market. As for performance, IBM’s Elastic Storages boasts the capability of scanning over 10 billion files on just one cluster in less than 45 minutes. This type of performance as extreme implications for analytics and big data applications. IBM’s Elastic Storage solution is built for performance for big data and is based on the same technologies used in the Watson computer. Part of Elastic Storage’s performance enhancement is due to IBM’s parallel data access technology: (General Parallel File System (GPFS). It eliminates the performance bottlenecks and so-called “choke” points of other data access algorithms and technologies. What it all means is that now you have the same capability to access, analyze, and report on huge data sets in a fraction of the time it used to take to perform these analyses as large companies have. 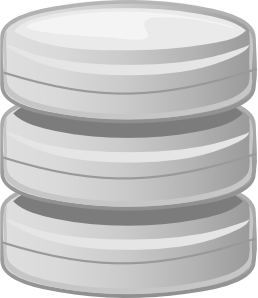 Elastic Storage puts the data where it needs to be to best serve you and your data requirements at a tremendous cost savings. IBM Elastic Storage supports OpenStack Cinder and Swift interfaces. IBM is a platinum sponsor of OpenStack Foundation and is now its second most prolific contributor. It also supports other open APIs, such as POSIX and Hadoop.